If you like to use your iPhone’s camera for than mere selfies and portraits, then you probably want to make sure you frame everything as straight as possible. This is much easier if you enable iOS’ camera grid. 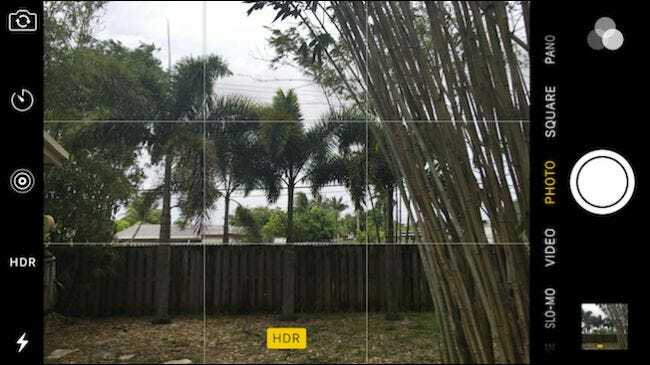 A grid is a fairly typical feature on most digital cameras and phones. It simply overlays a grid over the top of the display, which then lets you better line up your photos so they’re straight, thus saving you time later straightening them in post-processing (if you even get around to that). For example, if you want to take a photo of a sweeping vista with a distant horizon line, it can often be difficult to get it lined up perfectly straight. With a grid enabled, however, you can align up the horizon with one of the grid’s lines, guaranteeing a straight photo. Unfortunately, turning the grid on and off in iOS isn’t exactly intuitive. In fact, it’s kind of inconvenient, since it isn’t even in the Camera app itself–it’s in iOS’ Settings. 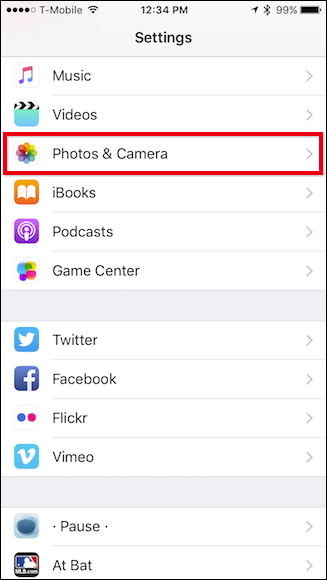 To start, open the Settings app and scroll down to Photos & Camera. Tap into the Photos & Camera settings, thenscroll down to the Camera section and tap on the Grid switch. Now just exit the settings, open the camera app, and you will now have a simple 3×3 grid that allows for easier framing. Without the grid, it would be a bit more difficult to keep the camera straight with the top of the fence. If you decide later you would rather not use the grid, then simply repeat the steps above and turn it off. 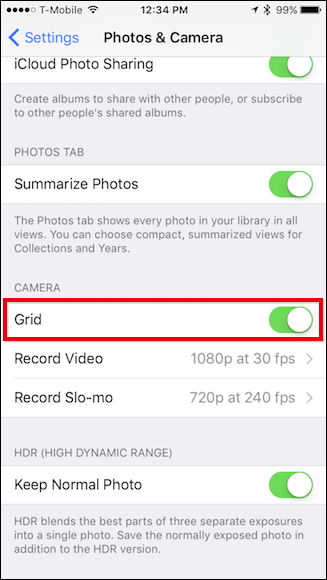 Suffice to say, it would be nice to be able to just enable or disable the grid on your iPhone with a simple button press from the actual Camera app. This is one of those things that is oddly harder than necessary, but at least the feature exists, and you can kiss crooked photos goodbye.